Cheap High Heel Ankle Boots On Sale - 50% Off Your 1st Order! High heel ankle boots for women from JustFab are a smart and stylish footwear choice when you're up for a job and need fashionable shoes for interview day. 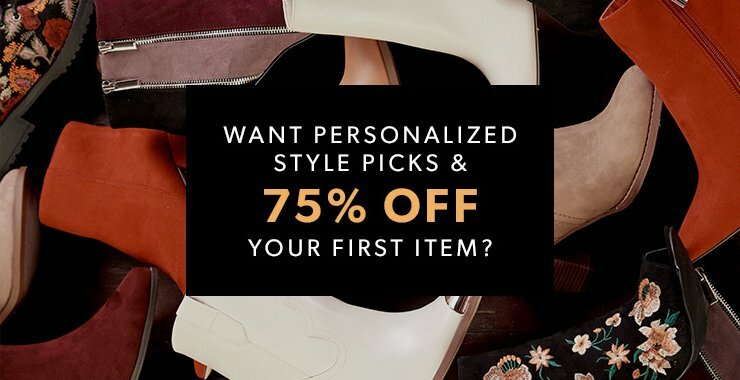 Our women's ankle boots with heels come in plush materials such as buttery soft faux suede or smooth leather, and you're sure to stay comfortable question after question. Our styles will keep you looking confident and professional from the moment you walk into the interview room to your farewell handshake. These stylish heeled ankle boots are cheap in price and coordinate effortlessly with an array of business looks so you can create the perfect interview outfit without fussing your time away. Consider wearing ankle boots with heels if you have a job interview coming up. They come in office-friendly neutral shades. Our affordable heeled ankle boots for women set the tone at job interviewers for the best results. Wear womens high heel ankle boots from JustFab to your big job interview and make just the right impression that will land you that dream career. We carry ankle boots with heels along with hundreds of other styles that seamlessly blend a professional look with trendsetting style. These discount boots come in warm shades that coordinate with a variety of business outfits so you'll have no trouble coordinating the perfect ensemble for that important one-on-one. Our dressy heeled ankle boots are crafted from luxuriously soft fabrics that are breathable so you'll remain comfortable and poised as the boss grills you on your best attributes, career objectives and personal interests. Our cute high heel ankle boots for women are not only pleasing to the eyes; these affordable styles are made for walking, so if you miss that train or bus, you can still stride to a job interview in comfort without missing a beat. And with our fashionable footwear, the top brass is sure to see you as a serious contender throughout the interview process. Feel confident in these styles that reflect the hottest trends from Milan, Paris, London and L.A. Wear our dressy & inexpensive high heel ankle boots into the office, and other interviewees will instantly know that you're a force to be reckoned with for that big job opening.